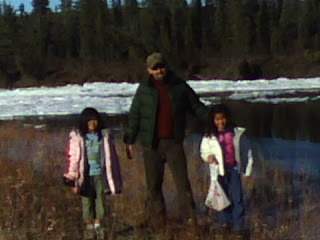 We took advantage of a beautiful, if cold, fall day here in Unalakleet. 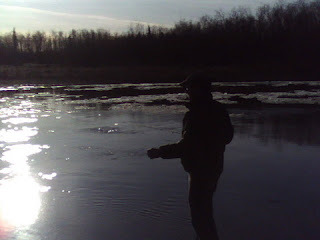 We went out to the North River Bridge and spent some time fishing, cracking ice, and playing in the sand. 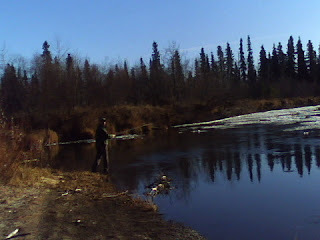 Jeremy did not catch anything but ice chunks. 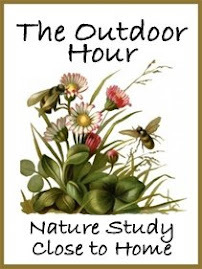 Isa and Judy had a great time soaking up some vitamin D before the sun goes away for the winter. 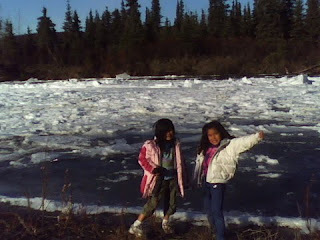 Less then 32 degrees and it was still not cold enough for the Inupiaq to zip up their coats! 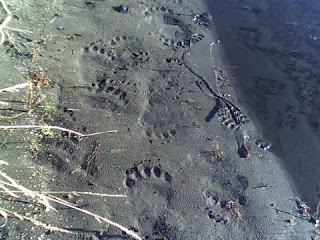 Here are some pictures of bear prints. 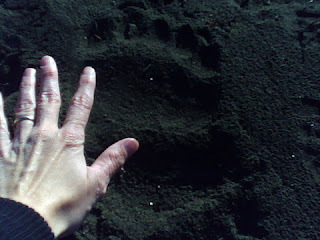 We still have not seen one but two were killed in town last week.